Founded in 1949, this private school converted three barns and an existing farmhouse into a school with an educational program of K through 8. The first phase of the master plan included two classroom buildings to be built in the forest beyond the original buildings. By using pole construction, the two buildings were added without removing any trees. 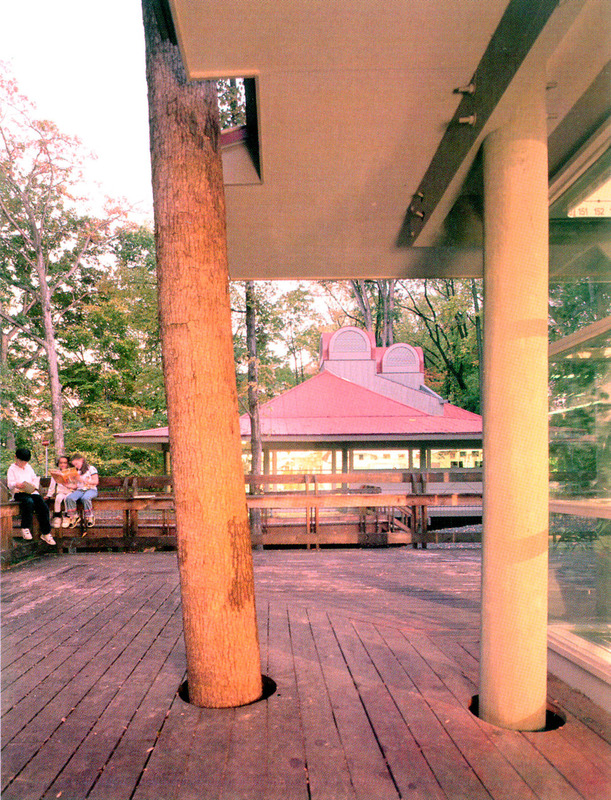 New decks were built around existing trees and all trees adjacent to the buildings were left in place. The end result clearly illustrates to the students that development does not have to ruin the landscape.